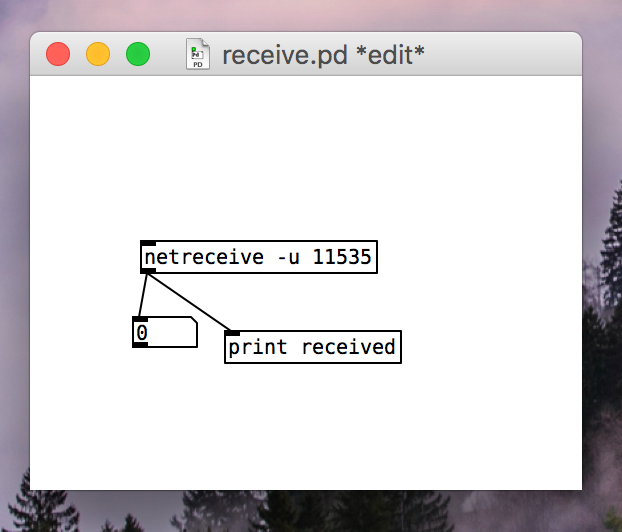 I'm having problems getting the Pd [netsend]/[netreceive] objects to communicate from Bela to my mac - I'm sure this is a very basic question and hopefully very easy to answer. 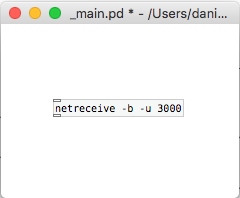 I've tried normal [netsend], [netsend -u], [netsend 1], and even [netsend -u -b] (with corresponding [netreceive] objects], but nothing ever seems to reach my Pd patch on my mac. 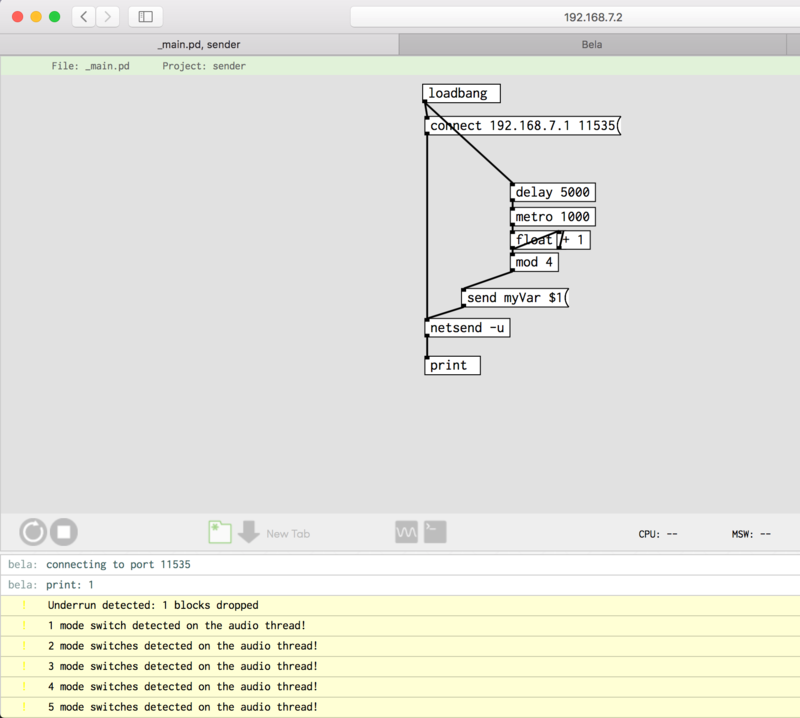 As a newcomer to Bela and all means of programming, I've realised I'm a little out of my depth, but I'm trying to find the simplest workaround possible. Many thanks for all your help so far! This was a bug which got fixed recently. You should update your board, follow instructions here. I'd actually already updated, but I finally realised that the problem was that I had a firewall switched on - it was preventing UDP packets from being sent from the Bela into the Mac. I updated the board from your prior post but that doesn't seem to fix the issue. 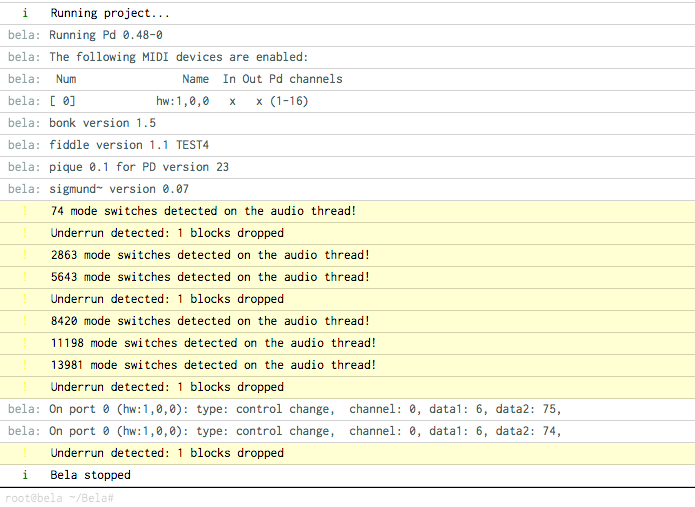 in the console at the bottom of the IDE and see what it returns? I've been using an old Bela board. I tried the update again (from your zip) but no luck. I had a newer Bela board in storage so I grabbed that and now everything is working fine. organnoise I tried the update again (from your zip) but no luck. do you get an error message from the update? I did, but the error got cleared during the update process. Can I run the update in my terminal to avoid the console being cleared?